Get a load of this. Lady Gaga is being sued. Poker face is right. The lawsuit is coming from an alleged ex-lover and producer who claims that he is the one who took Gaga from GooGoo, making her rich and famous. Rob Fusari is his name, and he is taking Lady Gaga to the laundromat for about 30 million dollars- her and her Team Love Child and Mermaid music. [source] 30 million is a lot of quarters. Anyway, Fusari is stating that Lady Gaga’s name even came from him because when she first got started it was Stefani Germanotta. A bit long right? From there she got with Fusari and he did her up. Rob Fusari sound familiar? He should because he has worked with Destiny’s Child and others in the game…except they aren’t getting sued. Anyway, so here is the worst thing that someone can do – steal the image of a dead person and call it Gaga. This is exactly what a mom, Yana Morgana, is alleging Lady Gaga has done to her late 19 year old daughter! The report is that Lady Gaga once worked with a teen by the name of Lina prior to her suicide, and they were introduced by Fusari! Anyway, Lina Morgana has recorded many songs with Lady Gaga in Fusari’s studio, and allegedly it was during this period of time, Lina’s mom believes Gaga took on much of Lina, from her past to even dress! We all know how Gaga dresses now, right? Well, Yana says that was NEVER Lady Gaga but Lina. When Lina died, Lady Gaga switched “overnight” as told by Lina’s mom. The switch to Lady Gaga’s look was so like Lina that even Gaga’s ex thought he had seen a ghost when he saw the new Gaga! So now that Lina’s persona is allegedly running around on Gaga, Lina’s mom wants them to at least give her credit for the work Lina put in that Gaga has now allegedly owned. Lina’s mom also says that she doesn’t want to sue, so that means that if she is truly looking for Lady Gaga to give Lina full credit for the look, style and story of Lady “Poker Face”, she may not get it. Money tend to talk much louder than do it out of the goodness of your heart. Take a look at the late Lina Morgana’s video and determine whether it is a Gaga moment in the now. It looks so from the very beginning! Her cause of death? She jumped from a 10-story building, the Staten Island hotel!!! How random is that? 1. She didn’t even have a chance for her career to take off, because she was only 19 when she died. 2. In addition to being a singer, Lina also wrote her own songs, including ballads and pop and dance numbers. 3. Before she died, Lina recorded at least 12 songs with Lady Gaga. 4. Lina’s parents were Russian immigrants, and she had a tough upbringing. After her parents split, she was raised by her mother. 5. 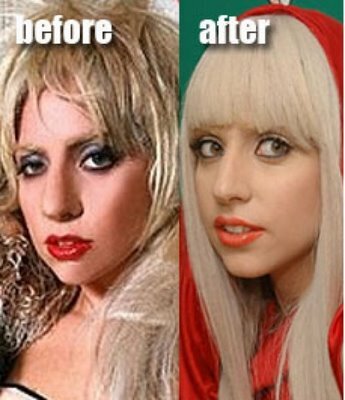 Lady Gaga became a huge sensation only one month after Lina’s death. Here is a video clip of Lina singing “Wonderland”, with Lady Gaga singing backup vocals. Is Lina the “Real Lady Gaga?” You be the judge. Lady GaGa Lina Morgana Controversy (Video) – The Lady GaGa Lina Morgana controversy is starting to make a noise in the music industry. The controversy started with the claim that Lady GaGa stole her entire stage act from Lina Morgana. The claim was made by Yana Morgana, Lina Morgana’s mother, who says that GaGa never appeared in her current notable stage look until she met Morgana, and that once Morgana killed herself at age 19, GaGa stole her dress, makeup, style of signing, and her entire stage presence. Lady GaGa’s early notable publicity vehicle was accusations that Cristina Aguilera stole her new look from GaGa. But now, it seems the tables are switched as the mother of GaGa’s former music partner says there was no GaGa before Lina Morgana and that what you see on stage today is not the creation of Stefani Germanotta but a stealing from Lina Morgana. 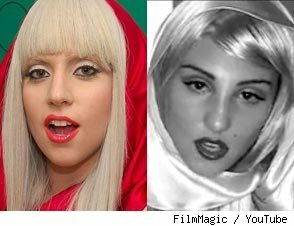 The Lina Morgana accusations claim that at the time there was no “GaGa”, just a Stefani Germanotta. And who was Stefani Germanotta? Morgana says Stefani Germanotta was not a troubled girl battling a “dark and tragic life” of dark looks and troubling thoughts. 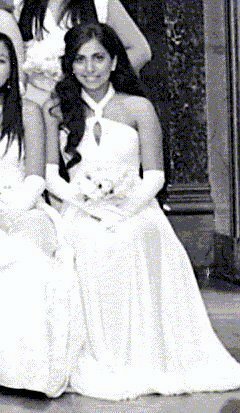 Rather Stefani Germanotta was just a rich girl who went to school with Nicky Hilton. Germanotta and Morgana were music partners. 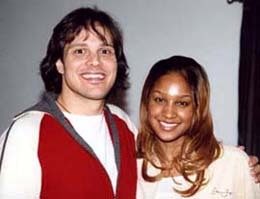 Together they recorded with producer Rob Fusari, who is also suing GaGa. Stefani would write the songs and Morgana would sing them. Now Lina’s mother Yana Morgana is seeking to release the songs the couple recorded together before her daughter’s death. Suicide? Nah, more, like Sacrifice!!! !